The world is run by databases. Be it manual or electronic, there has and will always be the need to store data and be able to retrieve it with ease. 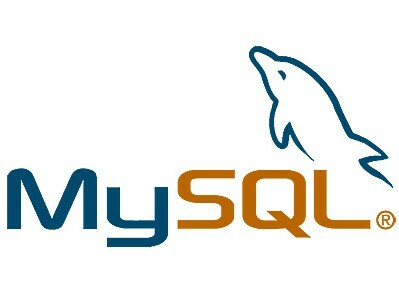 Currently, there are many database systems that are in existence, but none of them is as popular as MySql. Introduction of new INFORMATION_SCHEMA tables to make it easier to check on the status of the database and even offer more convenience in monitoring large database oriented systems. Introduction of split kernel mute. Normally, in busy systems, there usually raise contention where multiple users are sending queries to the database, this usually leads to decrease in system performance. As such, the new split kernel mute, is aimed towards decreasing the occurrence of contentions. Provision of optimized support to file sorting, MRR and ICP. Introduction of multi-rage read a feature which scans several index ranges in a query in order increase the speed of operation such as join operation on indexed columns and range index scans. Optimization of file sort to enhance the speed of sorting when there is a combination of both ORDERD BY non_indexed_column and LIMIT x clause in a query. Data availability and performance is enhanced by replication. To boost up its functionality, several improvements have been included to it. Introduction of better replication checksum to enforce integrity of data being duplicated to slave servers. Improved time-delayed replication to ensure protection of master copy against errors. As such, whenever an error occurs, the slave servers can get promoted to being the master server provided it has the latest copy of data. Crash-safe slaves to make it easy for slaves to recover automatically from failure and resume on their DML updates. Data stored is dynamic. With each passing moment it continues to grow, if the growth is rapid, the partitioning tables are overloaded and get slow in splitting the data into manageable parts. To make this process faster and more efficient the following features have been introduced. Introduction of export/import features that make it more easy to swap tables without necessarily having to execute copy operations. Explicit selection of partition to restrict the processing to data as a whole but focus only on the relevant required portions. In the previous versions of MySQL, it was quite challenging when it came to providing database services to many users simultaneously. The provision of NoSQL interface to MySQL database is like a fresh breath of life to web development process. This is because, this integration leads to improvement in database performance especially in the event where there is a requirement to provided a web based service that will be used intensively and simultaneously by many users. To make this integration possible, memchached API has been used to enable developers to provide high performance web services. I’m still hoping for a better database designer in MySQL though. Qoyyuum, what designer are you currently using? ?